Logan’s team dominates in his first scrimmage! Logan’s team, the HCRA Wimberley Texans varsity team took on the Dripping Springs Tigers this morning in a scrimmage and they looked great. Sure, there were a few miscues but overall I am very impressed with his team. The defense played stellar, allowing only one play for over 10 yards and shutting down the Tigers whether they tried running or passing. 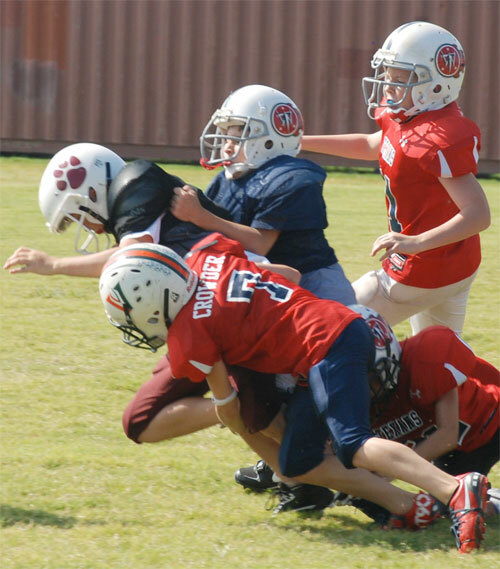 Logan played cornerback and did a fine job. He certainly didn’t look like a kid who had never played organized football before. I couldn’t be prouder and can’t wait for the next one! PreviousWhat a sweet ride it has been… and continues to be.